I am beyond blown away that my first cookbook, The Easy 5-Ingredient Ketogenic Diet Cookbook, has been on the USA Today Best-Selling Book List every week of 2019 to date. My book The Easy 5-Ingredient Ketogenic Diet Cookbook was named one of the “17 Essential Items Every Keto Dieter Should Own” by Men’s Health magazine! 3 of my recipes were featured on goodmoringamerica.com showing how you can stay keto during the Super Bowl! Super excited to have my book and a recipe featured in the June 11, 2018 issue of Woman’s World magazine! So happy to be named one of the 10 Keto Instagram Accounts You Need to be Following with some of my favorite IG friends! 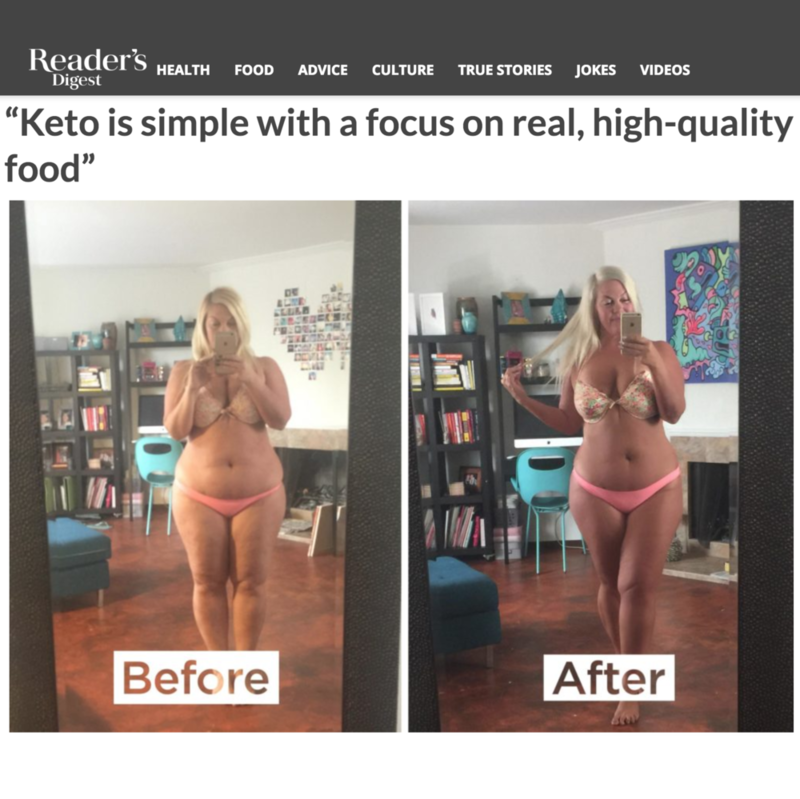 I loved being able to show my before and after pics to the Reader’s Digest audience along with 13 other successful keto dieters! I’m super excited to be named A Top 10 Ketogenic Diet Cookbook to buy by the team at Bio Hackers Lab! I feel so humbled to be named the top keto blog by Ketogenic Supplement Reviews!